The Video tracking function, automatically controls the gimbal and hold the point in the center of the video. The operator allocate the target and can zoom in. The embedded electronic hold the the target in the center of the video independently of the UAV movement. The video tracking is very useful for long-range intelligence Surveillance and Reconnaissance (ISR) mission. ASIO detects moving objects on the video and assigns an identification number. The operator allocate the target and can zoom in. The embedded electronic hold the the target in the center of the video independently of the UAV movement. The video tracking is very useful for long-range intelligence Surveillance and Reconnaissance (ISR) mission. 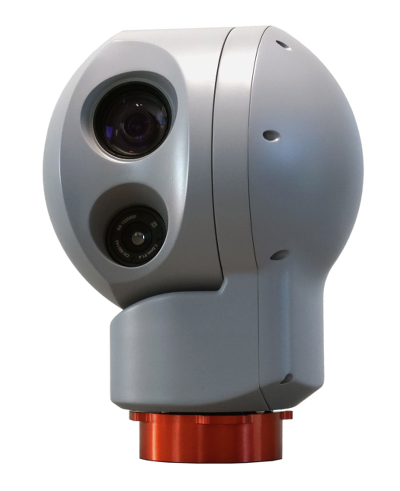 The ASIO provides synchronized metadata with each video frame compliant to STANAG 4609 : time, GPS position, altitude, UAV information (heading, pitch, roll), heading gimbal, camera viewing angle, fixed or moving target geographic positions. These informations provide a clearer visualization of the target on a map. In fusion mode, ASIO provides an synchronized IR/EO image. Thanks to the APGS ground station, the operator can mix IR and EO images.